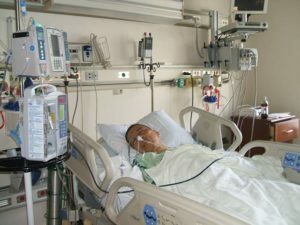 A recent study of microbiomes (microbial communities) of patients admitted to intensive care units (ICU) found that they had rapid loss of normal, “health promoting” bacteria", which resulted in the "overgrowth of disease-promoting pathogenic bacteria (dysbiosis), which, in turn, makes patients susceptible to hospital-acquired infections, sepsis, and organ failure". In other words, serious illnesses disrupt human microbial communities, as do treatments, medicines, antibiotics, and lack of proper nutrition in intensive care units. Interestingly, they observed "large depletions of organisms previously thought to confer anti-inflammatory benefits, such as Faecalibacterium". 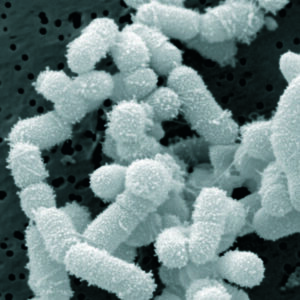 Faecalibacterium prausznitzii has been discussed in other posts as an incredibly important beneficial bacteria for health, a keystone species in the gut (here and here). What makes a gut microbiome healthy or not remains poorly defined in the field. Nonetheless, researchers suspect that critical illness requiring a stay in the ICU is associated with the the loss of bacteria that help keep a person healthy. The new study, which prospectively monitored and tracked changes in bacterial makeup, delivers evidence for that hypothesis. "The results were what we feared them to be," says study leader Paul Wischmeyer, an anesthesiologist at the University of Colorado School of Medicine. "We saw a massive depletion of normal, health-promoting species." Wischmeyer, who will move to Duke University in the fall, runs a lab that focuses on nutrition-related interventions to improve outcomes for critically ill patients. He notes that treatments used in the ICU -- including courses of powerful antibiotics, medicines to sustain blood pressure, and lack of nutrition -- can reduce the population of known healthy bacteria. An understanding of how those changes affect patient outcomes could guide the development of targeted interventions to restore bacterial balance, which in turn could reduce the risk of infection by dangerous pathogens. Previous studies have tracked microbiome changes in individual or small numbers of critically ill patients, but Wischmeyer and his collaborators analyzed skin, stool, and oral samples from 115 ICU patients across four hospitals in the United States and Canada. They analyzed bacterial populations in the samples twice -- once 48 hours after admission, and again after 10 days in the ICU (or when the patient was discharged). They also recorded what the patients ate, what treatments patients received, and what infections patients incurred. Wischmeyer was surprised by how quickly the microbiome changed in the patients. "We saw the rapid rise of organisms clearly associated with disease," he says. "In some cases, those organisms became 95 percent of the entire gut flora -- all made up of one pathogenic taxa -- within days of admission to the ICU. That was really striking." Notably, the researchers reported that some of the patient microbiomes, even at the time of admission, resembled the microbiomes of corpses. "That happened in more people than we would like to have seen," he says.....In addition, now that researchers have begun to understand how the microbiome changes in the ICU, Wischmeyer says the next step is to use the data to identify therapies -- perhaps including probiotics -- to restore a healthy bacterial balance to patients. 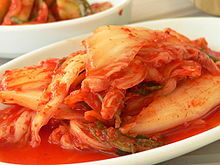 Reducing Social Anxiety By Eating Fermented Foods? A possible connection between fermented foods, which contain probiotics, and social anxiety symptoms, is the focus of recent study...The researchers found that young adults who eat more fermented foods have fewer social anxiety symptoms, with the effect being greatest among those at genetic risk for social anxiety disorder as measured by neuroticism. "It is likely that the probiotics in the fermented foods are favorably changing the environment in the gut, and changes in the gut in turn influence social anxiety," said Hilimire. "I think that it is absolutely fascinating that the microorganisms in your gut can influence your mind." The researchers designed a questionnaire that was included in a mass testing tool administered in the university's Introduction to Psychology courses during the fall 2014 semester; about 700 students participated. The questionnaire asked students about the fermented foods over the previous 30 days; it also asked about exercise frequency and the average consumption of fruits and vegetables so that the researchers could control for healthy habits outside of fermented food intake, said Hilimire. "The main finding was that individuals who had consumed more fermented foods had reduced social anxiety but that was qualified by an interaction by neuroticism. What that means is that that relationship was strongest amongst people that were high in neuroticism," Hilimire said.The secondary finding was that more exercise was related to reduced social anxiety. "However, if we rely on the animal models that have come before us and the human experimental work that has come before us in other anxiety and depression studies, it does seem that there is a causative mechanism," said Hilimire. "Assuming similar findings in the experimental follow-up, what it would suggest is that you could augment more traditional therapies (like medications, psychotherapy or a combination of the two) with fermented foods -- dietary changes -- and exercise, as well."